Bright, fresh, crisp and full of flavour, this salad is a great veggie side. 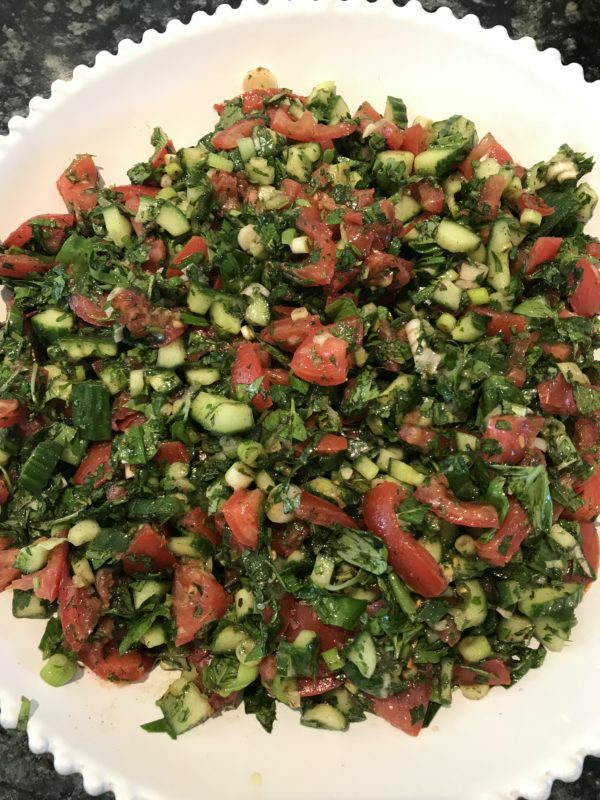 Place the spring onions, tomatoes, cucumber, parsley, mint, and basil in a large salad bowl and mix to combine. Add the feta, sprinkle with salt and pepper, and toss gently. Serve the salad with flat breads or toasted pitta bread. A great side with Middle Eastern dishes, chicken and fish.